Microsoft have released a Windows 10 update which will cause problems with MailWasher Pro if you have the tutorial load on startup - here's how to fix it! It seems that thanks to a recent windows 10 security update (KB3132372), some Windows 10 systems will cause MailWasher to crash if the startup tutorial is elected to play automatically, so here's a few ways to fix this until Microsoft releases a fix. A possible fix is that you need to update Flash Player. You should keep the Flash player updated anyway as old versions tend to have a lot of security issues. Download Adobe flash player here. 2. Uninstall the Microsoft Update. In Windows 10, go to Control Panel >> Programs >> Programs and Features >> Installed Updates. 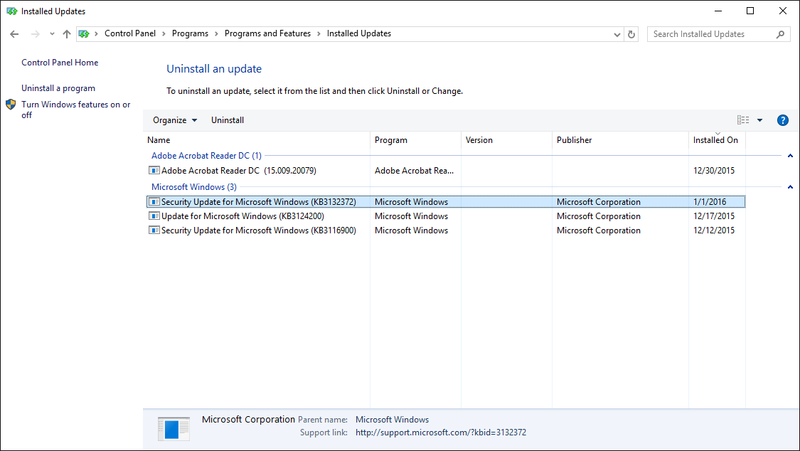 Select the Microsoft Security Update Number KB3132372 and uninstall it. Restart the computer, then restart MailWasherPro. The tutorial will start, deselect the run on start check mark and close the program. Restart MailWasherPro to test. It should start without problem. If it tests OK, then allow the computer to reinstall the Security software update. You need to remember not to activate the tutorial or its restart box or the problem will start all over again. To get to the Control Panel, click the Windows Icon key on your keyboard + X, and select 'Control Panel'. 2.) Locate a file called Startup.xml. 3.) Close Mailwasher down via File>Exit if it's still running. 5.) 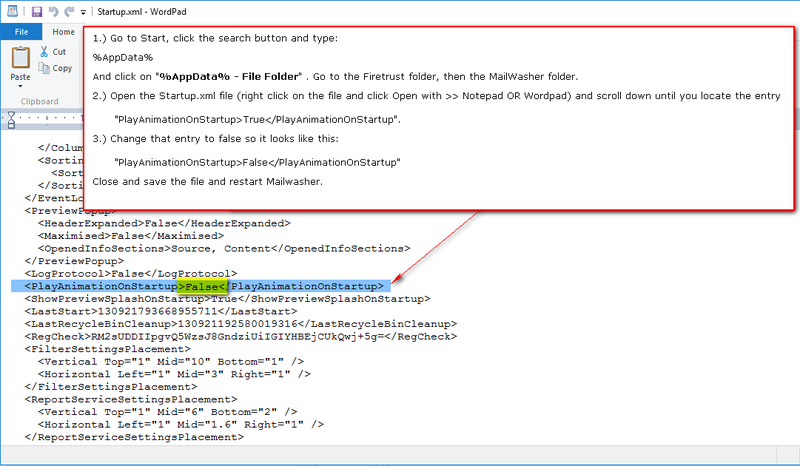 Change that entry to false so it looks like this: "PlayAnimationOnStartup>False Close and save the file and restart Mailwasher.